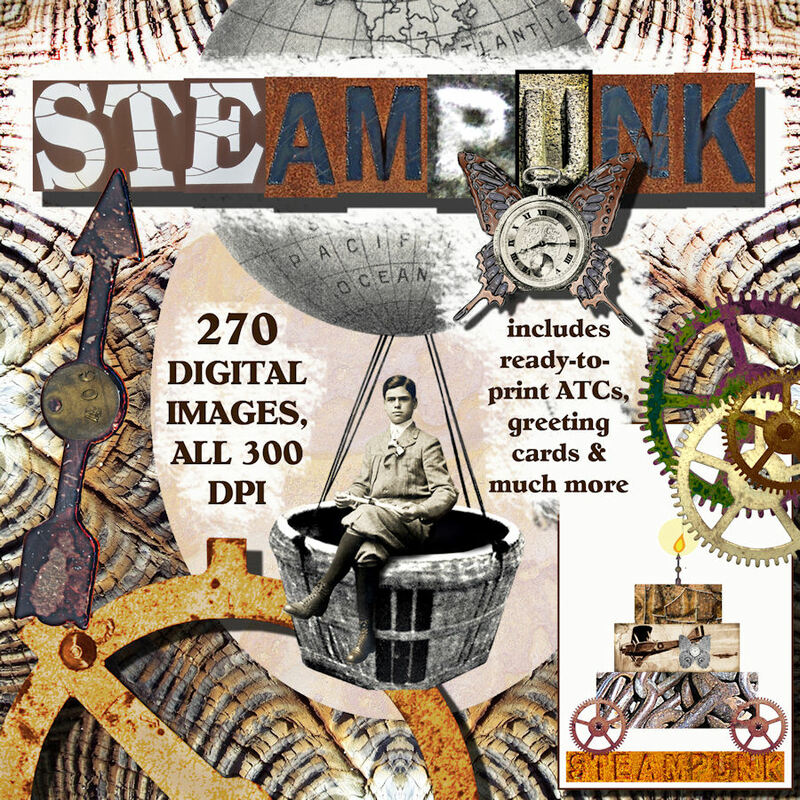 The steampunk background was made digitally using images from the "hot off the press" and very cool Steampunk CD put together by my friend and colleague Cecilia Swatton. I really like this CD and am glad I bought a copy of it. 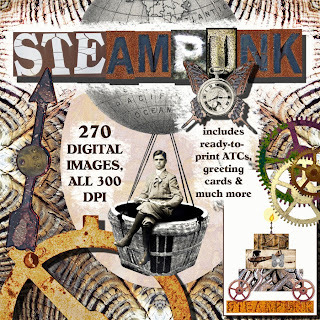 With over 270 high resolution steampunk style images to choose from, it was a snap finding images for both the background and the focal point for my ATC. A few additions using some of my Paint Shop Pro brushes, a Paint Shop Pro tube of nuts and bolts and the print out was ready to mount on matboard, add a few finishing touches by hand and give it a quick spray with Krylon to protect it . How quick and easy is that??? My kinda project when I need an art break. What do I like most about this CD? The possibilities!!! 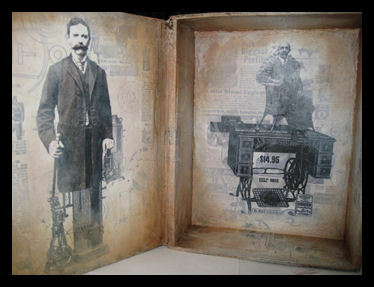 There is a lot of room to exercise your own creativity with the images. The ready made greeting cards and ATC's offer a quick solution to a greeting card or gift tag when you are in a hurry. What about making some fridge magnets with some of the "ready to prints" to enclose with a little gift? What about cutting out some of the embellishment images, gluing them to cardstock and attaching them to an altered book cover for a 3-D effect? What are some ideas that come to you of how you could use them? The price is definitely right! $10.00 plus shipping and handling in the US and Canada. 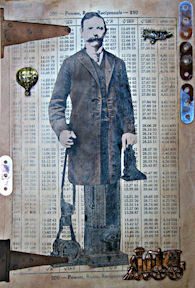 You can see more images and purchase the Steampunk CD via PayPal by visiting Cecilia's blog. Hope you have as much fun with it as I am! Oh gosh...so many lovely projects to contemplate doing ... so little time! P.S. 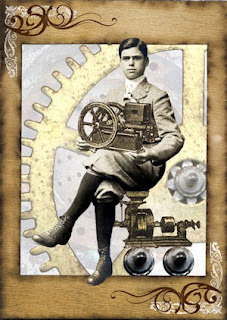 Stop by next week for some notes, tips and ideas from a tutorial I wrote for one of my groups around using digital images in your projects PLUS in two weeks, a special gift just for blog followers. I'd like to invite you to become a blog follower today! It's easy... just click on the "Follow" button from Google's Friend Connect... yep, that one, over there in the left hand column. Just follow the instructions to sign up. Thanks for becoming a blog friend! If you are a current or new follower with a blog, send me a short email (sharonhouse at mystoryart.com... just remember to change the "at" in this address to the "at" sign in your email) with your blog address. 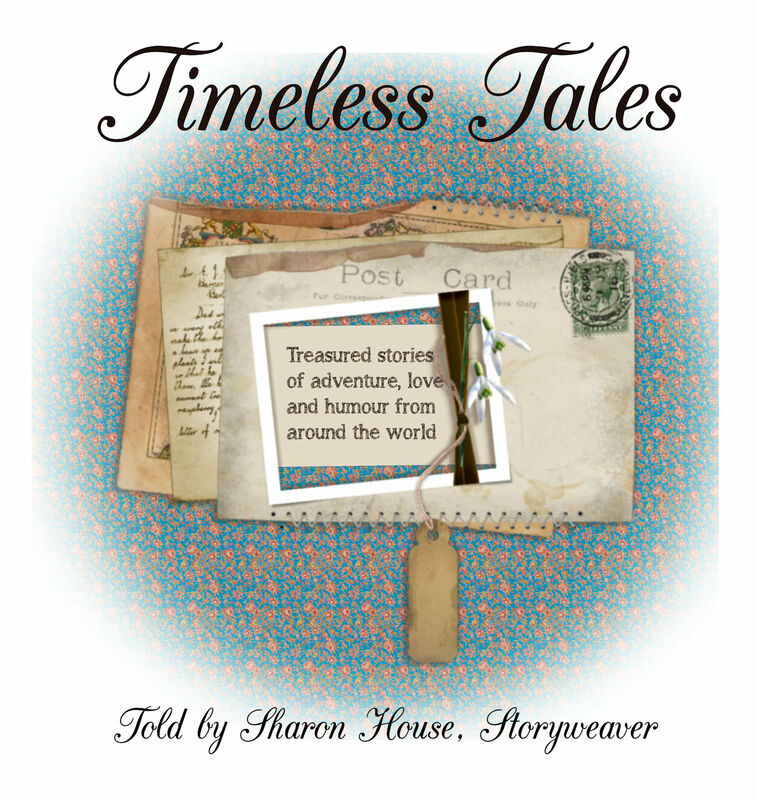 I'll drop by for a visit and return the favour by signing up to be your blog friend too! Thanks for the review! It is always nice to hear from and artist!! I haven't yet done much digital (for collage anyway:) but I can appreciate the results! Love what you've done and great info!